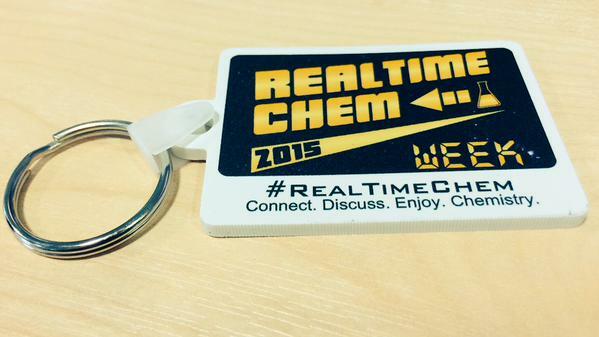 Once again I have to say a massive thank you every single chemist out there who took part in #RealTimeChem week. This community only exists because of you and it’s always great fun to witness the massive variety of chemists taking part from all over the world. It was nice to see tweet not just from regulars, but also a lot of newcomers. Welcome to #RealTimeChem I hope you enjoy your stay. While the week event is over for another year, don’t forget that #RealTimeChem is a 24/7 project, so feel free to keep sharing chemistry whenever you want and engage with your fellow chemists around the world. Andy Brunning of @compoundchem fame. Not only did Andy design all of the graphics for this year, he also provided a really cool infographic competition of his own to celebrate #RealTimeChem Week. 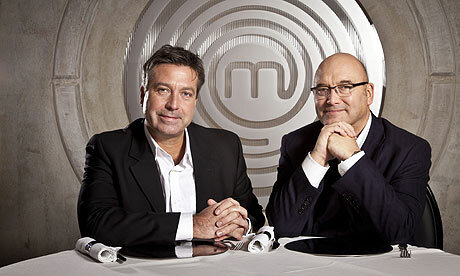 I look forward to working with Andy again in the future. Katey Birtcher and all the folks at Elsevier’s SciTechConnect who ran the Blog Carnival this year and promoted the week. Your enthusiasm for the project has really kept me going and I loved the round ups. Kudos to the Royal Society of Chemistry and all my friends at work for supporting the project and also getting on board from time to time. Finally, thanks to Guido Kemeling, Editor-in-Chief of @ChemSusChem, who was kind enough to organise the prizes for the The Great #RealTimeChem Cook Off. Thanks to all the other ladies and gentlemen at WileyVCH for the support as well. With all of these out of the way, it’s time to get onto this years awards. This was, as ever, ridiculously tough because there were many excellent tweets all deserving a prize. Thankfully, I have a few more prizes to give out this time around! Below you will find out the results. Drum roll please? From Wednesday. Brian Wagner (@drummerboy2112) is one of THE chemists to follow on Twitter in my humble opinion and this simple demonstration of Boyle’s Law using a marshmallow, a flask and some suction was arguably the most popular tweet of the whole week in terms of retweets and favourites. Science can be fun and informative both at the same time. From Wednesday. Laura van Laeren (@lauravlaeren) strikes again, sharing a lot of great tweets throughout the week, including several pictures of her beautifully painted finger nails. However, it was her starry night flask that caught a lot of attention this year and I couldn’t ignore it’s awesomeness. Pretty colours for the win! From Saturday. Speaking of pretty colours, it was National Chemistry Week in the US at the same time, with colours being the big theme. Emily Hardy (@EmilyEHardy) snuck in on the Saturday to show off some fantastic chemiluminescence. Really spectacular. Don’t forget to DM me your address so I can post your prize to you. All winners, DM me your address & I’ll post your key ring to you. NOTE: Au/Ag award winners. Unfortunately, you don’t get a prize (except the kudos), but thank you for taking part! I was lucky this year to be given some extra prizes for a new competition. The first #RealTimeChem Cook off! There were quite a few entries and below you can find the 6 chosen winners. All 6 of these tweeters win a copy of “What’s Cooking in Chemistry? : How Leading Chemists Succeed in the Kitchen“. Send me your address details via DM and the folks at Wiley will send you your prize*! Well, that’s all folks. All awards are now given and #RealTimeChem Week is officially over for this year. Once more, thank you to everyone who took part. May all your chemistry dreams come true. Chemistry is like cooking. Just don’t lick the spoon. Over the past few years I’ve noticed that many of you have shared some fantastic creations, not just from your laboratory at work, but also from your kitchen at home. 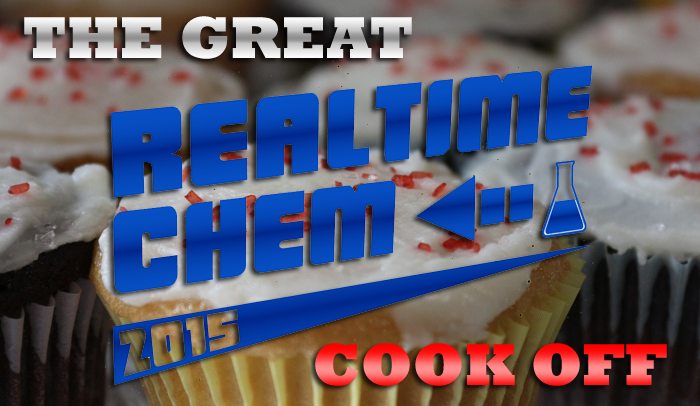 There is a very strong association between chemistry and cooking, and to celebrate this connection, I’m very happy to announce the first ever #RealTimeChem Cook off! Prizes for the Cook off have been kindly provided by the folks at WileyVCH* [special thanks to Guido Kemeling (E-in-C of @ChemSusChem), @ChemSusChem, @angew_chem & @AsianJOrgChem). We have 6 copies of “What’s Cooking in Chemistry? : How Leading Chemists Succeed in the Kitchen” to give away. This fascinating book acts as a Who’s Who in organic chemistry, showing what top scientists like to cook. All you have to do to enter the competition is to tweet a culinary creation (anything cooking, baking or food related) using the hashtags #RealTimeChem & #whatscooking this week. Your tweet should ideally include a short description with a picture or video of your creation (the description can even talk about the chemistry in your cooking! It’s up to you). Alternatively, you can write a recipe for others to try. 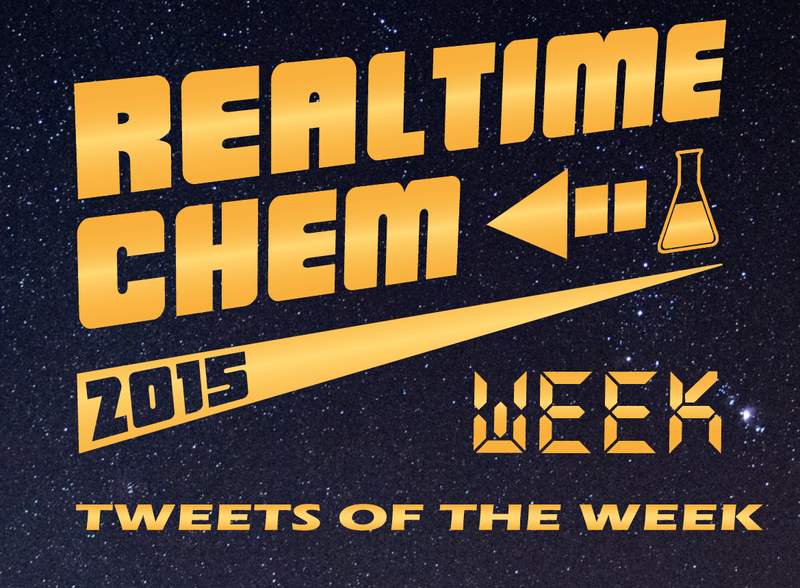 #RealTimeChem Week 2015 is almost upon us and I’ve had a few folks on Twitter asking me about the Awards that are given out during the event. Information can be found on the FAQ like everything else about #RealTimeChem, but I thought I’d make things even clearer in a separate post. Every year I bestow awards upon my favourite contributions to #RealTimeChem Week. This year’s awards have been revamped a little with a new structure and some extra prizes for those winning the top awards. Awards are given out each weekday with a joint weekend award giving you 6 opportunities to win. The new award badges this year have been provided by the excellent Nicola Burton (formerly on Twitter as @Elements_UD) creator of Elements Unleashed. Overall there will be 12 awards given each day: 6 silver, 4 gold and 2 platinum. Simple. Tweet some fantastic chemistry any time between 19th-25th October using #RealTimeChem in your tweet and you are in with a chance of winning. 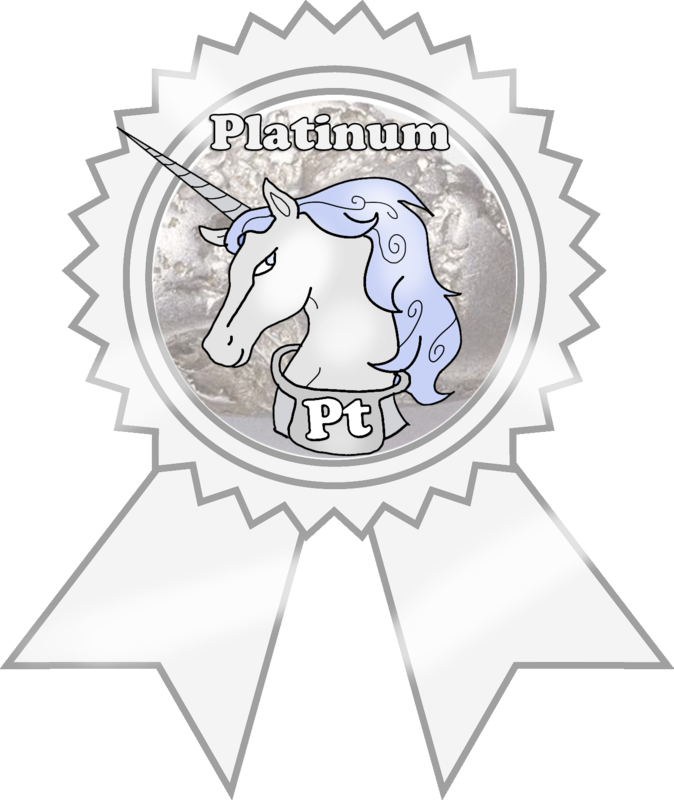 Please note: While you can most certainly win multiple awards throughout the week, in the interest of fairness I try to make sure that Tweeters only win one Platinum Award during the week. This is in order to give more folks the chance to win a prize. The prizes for the #RealTimeChem Week awards do come out of my somewhat meagre pocket so unfortunately I can’t give prizes to every award winner , but everyone will each receive a PDF certificate to keep for posterity (Silver, Gold or Platinum). Winners of the platinum awards each day will also have the chance to win the big prize as one of the top 3 “Tweets of the Week”. 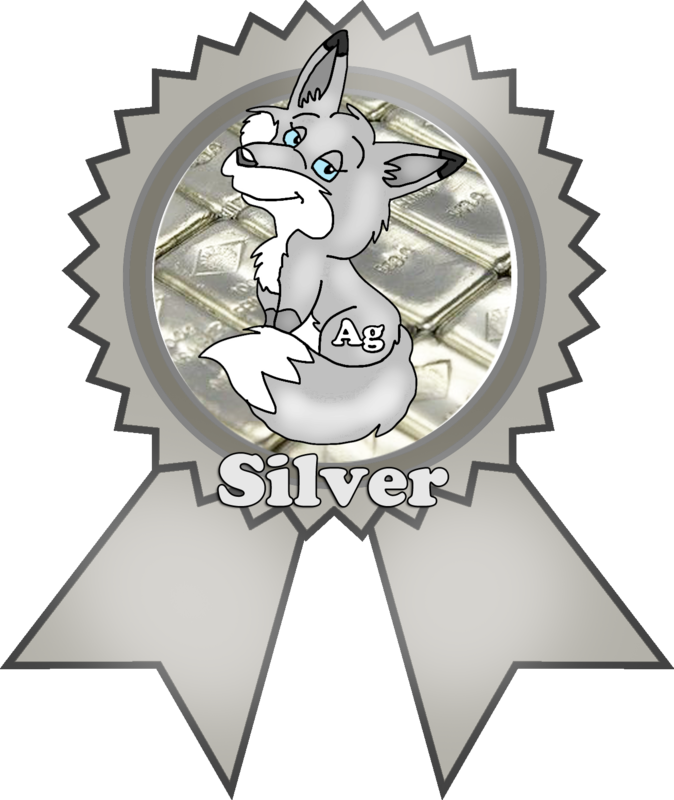 All 12 winners of platinum awards will be entered into the final running for “Tweets of the week” with the 3 winners receiving the top prize and the remaining 9 platinum award winners receiving the smaller secondary prize. This year’s prizes are shown below and are adorned with this years logo designed by @compoundchem. Everyone loves a mug right? You can do all kinds of things with them! If you have any other questions about the awards, please ask me on Twitter.